Time does funny things to my memories of flavor. Thinking of delights tasted in far-off lands usually ends in my attempting, and failing, to recreate them. Even if I get every nuance of the recipe right, it just doesn’t work. The air smells different. The setting is all wrong. Until now. Rewind a few months to an idyllic Moroccan vacation full of adventure, colours, and mouth-watering delicacies. While I haven’t even tried to tackle a Moroccan breakfast, I recreated a moment in time with Sofra’s recipe for Sesame-Tomato Jam. I am sitting in a tiled Riad in Marrakesh…..mmmmm. In a small skillet on low heat, toast the cumin seed for 2 minutes until fragrant. Cool and grind with the saffron. Place in a small mixing bowl and combine with the remaining spices. 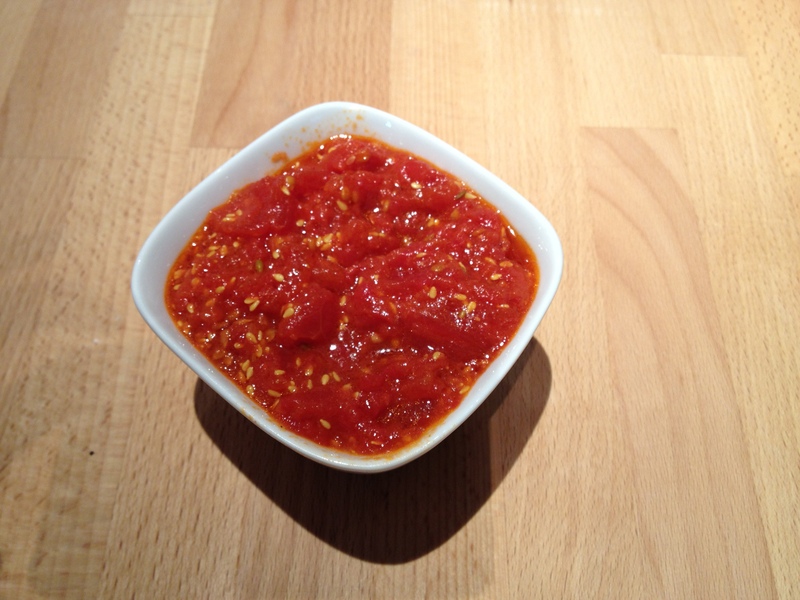 Posted in recipe and tagged Marrakesh, Morocco, ras el hanout, Sofra, Tomato Jam, Tomato-Sesame on September 13, 2012 by foodicity.